Sinomas Mica heaters have superior heating performance while being flexible in one dimension. 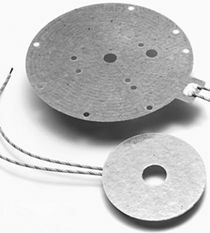 They consist of an etched foil element sandwiched in between two layers of mica plate and can operate at temperatures up to 500°C. The insulating material is phlogopite mica infused with a high temperature resistant polymer. 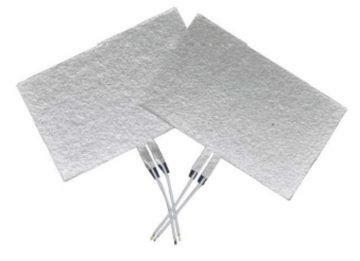 The infused polymer helps mica heaters to be formable during the manufacturing process. The final heat curing enhances the rigidity and sets the form. The excellent dielectric strength and high temperature capability make mica heater a perfect choice for both convection and radiant heating. It can replace the traditional mica band heater in applications where installation space is limited. Circuit design dual input voltage, three phase heater, low inductance design, etc.